Reading and share top 1 Abhishek Singh Sikarwar famous quotes and sayings. 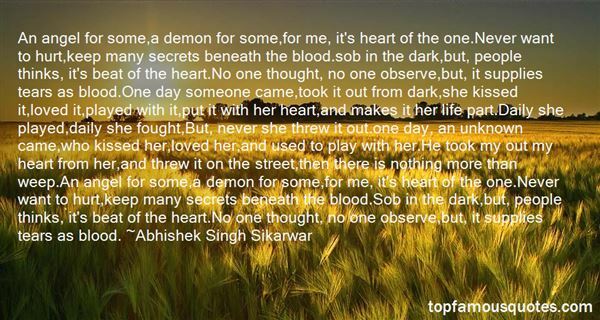 Browse top 1 most favorite famous quotes and sayings by Abhishek Singh Sikarwar. I woke up an hour before I was supposed to, and started going over the mental checklist: where do I go from here, what do I do? I don't remember eating anything at all, just going through the physical, getting into the suit. We practiced that so much, it was all rote."